World food day - Global Happiness Family - Traveling family finding sustainable development goals around the world. About 820 million people still suffer from hunger. There is enough food for everybody. 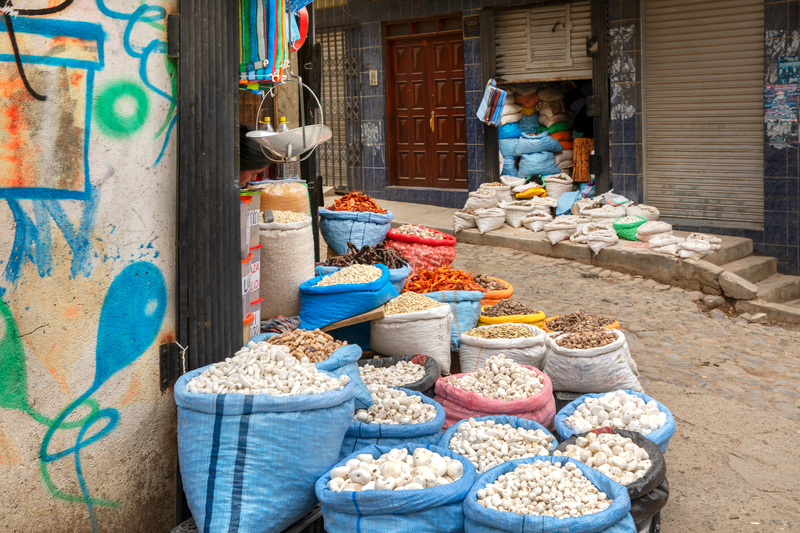 This is a photo of dried white potatoes known as ‘Chuño or Tunta’, in the street market of La Paz. It is a freeze-dried potato product traditionally made by Quechua and Aymara communities of Bolivia and Peru. Once dried, and with minimal care in storage, the product can last for a very long time, sometimes decades.